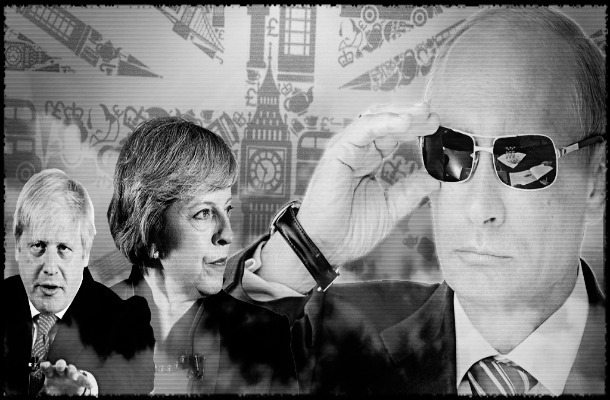 We have a situation now in which two major world governments, UK and Russia, both nuclear powers and permanent members of the UNSC, are upholding entirely opposed and contradictory narratives on two issues – the alleged Salisbury/Amesbury Novichuk poisonings, and the alleged nerve gas attacks by Assad Government forces on 7 April in Douma, Syria (on basis of false White Helmets-staged evidence) . The latter allegation led to a US/UK bombing attack on Syrian Air Force bases. On both issues, the US and French governments – also UNSC members and nuclear powers – have in solidarity supported UK government- sourced narratives, though in the former case there has been no UK judicial process, and in the latter case OPCW inspectors have found no physical evidence of use of nerve agents in Douma , and nor do local people’s accounts support the allegations. Nevertheless, two days later on 16 April, the OPCW Executive Council, under Western pressure, decided unprecedentedly not to release the full reports of the samples testing by the four OPCW laboratories in Switzerland, thereby casting serious doubt on the professional reputation of OPCW. See here and here. This is simply laughable. The OPCW defence was that Britain had requested a very restricted test looking only for Novichok and that it was therefore correct procedure for OPCW to withhold publication of the full laboratory results. So there is no official confirmation or denial of Lavrov’s statement that the Spiez Lab had found that A-234 had twice been improperly added to the Skripal samples. And a blatant lie was told on BZ. Lavrov on 14 April had stood just short of accusing the UK government of concealing evidence and tampering with samples. But his imputation was very clear. Clearly, he was appealing to Britain and the OPCW to do the right thing on 16 April. They did not do so. His words, recorded on the Russian MFA website, went unreported in the West. They are the essential basis of the Russian counter-narrative. On the alleged use of CW in Douma, an alleged child victim Hassan Diab testified in The Hague three weeks later on 27 April that he had never been gassed, but he had been cruelly used in a White Helmets staged propaganda film. Then, much later, the OPCW reported on 6 July their inspectors’ findings that they had not found any organophosphorous nerve agents or their degradation products in Douma. These are the facts. But it appears that facts no longer matter. In the UNSC, the weight of numbers is with the three Western permanent members and their allies. China has been circumspect on the issue, saying almost nothing except calling for proper procedures to be followed in OPCW. Russia and China continue to have rights of veto on any future UNSC resolution that might try to condemn Russia for allegedly behaving as an international outlaw in these two contested matters. Is there any legal way Russia could be expelled from the UNSC over either or both of these sets of allegations? America and Britain seem hell-bent now on portraying Russia as an international criminal, but surely this should carry no credibility now with the majority of the UNGA membership outside the compliant NATO/EU/Australia grouping. There seems no way in which the facts of Salisbury/Amesbury can be publicly established, as long as the UK Government continues to suppress and tamper with evidence, and as long as its Western allies and the OPCW Executive continue to give to the UK Government cover and support. Only the election of a Corbyn Labour Govt might offer the prospect of change because Corbyn is a decent man who would refuse to sustain a UK government lie. Russia will continue to press for consular access to their citizens the Skripals. They cannot let the issue be forgotten. So it will go on being a cause of major Russia-UK tension and bad blood, as the histories of the two series of events recede into mythology and contested narratives, and as distracting myths and legends accumulate around Salisbury-Amesbury. Now, the US government is resorting with increasing recklessness to unilateral sanctions outside the UN system, announcing two tranches of increasingly severe sanctions against Russia, in August and November, unless Russia admits its crimes and promises not to repeat them. Russia has, of course, rejected these demands out of hand, as internationally illegal and without any justification. If the US pursues this course it will lead to further distancing between the US and Russian economies. As Lavrov points out, many other countries will draw their own conclusions about the US’s reliability as an economic partner and reserve currency. The most likely medium-term scenario is continued simmering anger and resentment on both sides, encouraging further polarisation of a ‘3 versus 2’ situation in UNSC. But I don’t see how Russia could be expelled or suspended from the UNSC. The current situation suits Western Russia-hating elites. It is in their interest to delay and impede any moves to Russia-West detente, keeping tensions high but at a level just short of war, and keeping Trump on a tight leash for as long as he remains US President. So far, sadly, it is all working out according to this plan. Feature image taken from John Laurit’s blog.